A British property developer is planning to invest $560 million in mansions and apartments in Oman. The development will be a significant step in bringing European design to the Middle East kingdom with developers saying it will set a benchmark for future development in Omani housing development. Consero is set to begin development this year with fourteen large contemporary villas set in landscaped gardens in Oman’s capital, Muscat. The company is best known for designing and building mansions in Surrey and say this development will resemble Kensington’s Phillimores development. The luxury developer is estimated to have sold $1.8 billion in properties in the last decade. Consero will partner with local developer Al Raid group with units set at $1.8 million apiece. The Oman property market is estimated to be worth $3.6 billion per year. The properties will be located in a prestigious district of Muscat and estimated to be around 1500 square metres in size. They will be surrounded by large terraces and set in landscaped gardens. 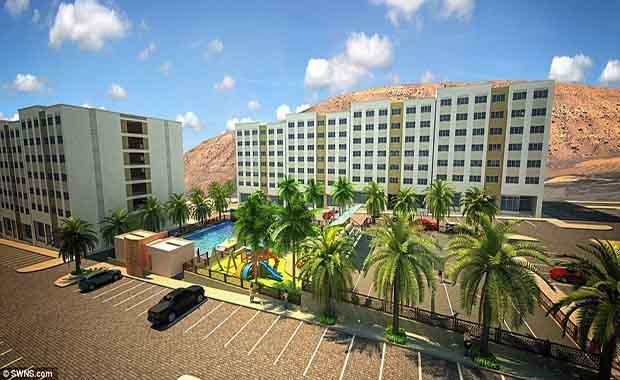 At the development’s conclusion, the joint venture partners will continue with the development of 264 one and two bedroom apartments and penthouses in Muscat, Shatti Al Qurum, and Al Khuwair. Consero is unrivalled in England’s luxury housing market with recently announced plans to build a $120 million mega-mansion near Ascot. The property is forty-five times the size of the average new home featuring fifteen en suite bedrooms, and ten reception rooms with accommodation. Robert Osborn, co-founding director of Consero London said, “Our companies have entered into this exciting joint venture following the success of an Oman-based pilot project where Saraya and Consero London worked alongside each other.